Successfully determining if a car is a "real" Cutlass SX is difficult. There is no information in on the VIN # to determine if a car is a factory correct Cutlass SX. Today there are a lot of experts on social media, and they have created more confusion about the Cutlass SX than ever before. 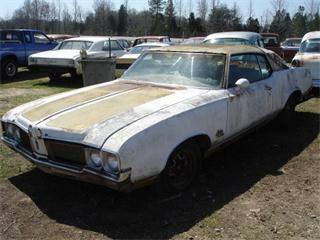 This web site has all the information you need to ID a real Cutlass SX. Here your will find the correct information you needs to ID and Cutlass. One you become a Monthly or Annual SX455 Member, you can login the web site and have access to the information you need. The SPOTTER TIPS, TECH & SPEC and PRICE GUIDE are areas you will want to explore. You will also find thousands of pages and information about build sheets, SX factory documentation and over 45 years of articles written about the Cutlass SX. Running this SX455 web site and the SX Registry costs money to maintain. By joining SX455 you are helping to documenting all thing Cutlass SX. We appreciate your support.